successfully promote their professional accomplishments. 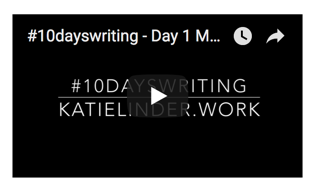 In December 2016, Katie completed a ten-day writing retreat for Managing Your Professional Identity Online. 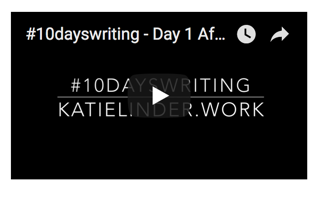 She recorded videos throughout the retreat on her progress. 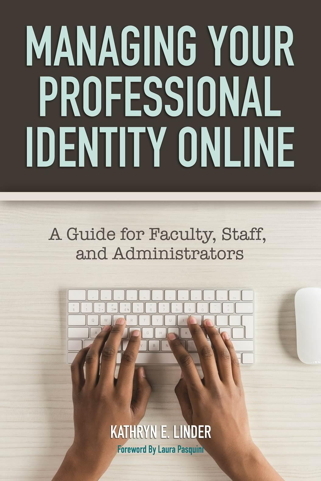 In April 2017, Katie completed a 30-day writing challenge working for an hour each day on Managing Your Professional Identity Online. She recorded videos throughout the challenge logging her progress. 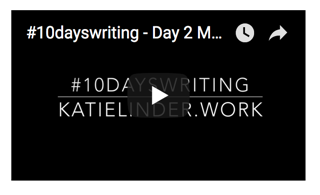 In April 2017, Katie released a podcast called The Anatomy of a Book (now called Think Write Revise) where she shared a peek behind the scenes of writing Managing Your Professional Identity Online for the first 30 episodes.